Harley NEW original OEM Inner Fairing Trim KIT 2014 . 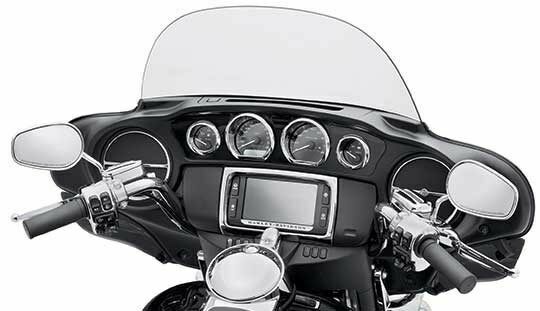 This new kit includes self-adhesive bezels and trim rings to surround the gauges, the front speakers. A gloss-black fascia completes the stylish look.